Our mission to connect our entrepreneurs to the resources they need to thrive as business owners starts with volunteers, coaches, mentors, and sponsors. Can you help? Become a Friend of BizStarts. 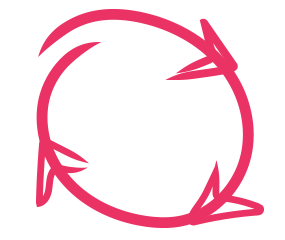 BizStarts offers all of our services free of charge to our entrepreneurs. We are able to do so by the generous donations of our sponsors, foundations, and individual contributions. Thank you for supporting our work and impacting the vibrancy of Milwaukee through entrepreneurship. 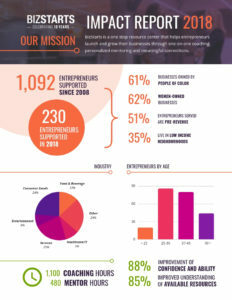 BizStarts worked with 230 entrepreneurs in 2018. We are proud to serve a diverse group of individuals supporting their new ideas, business challenges and provide valuable resources.